August 8-11, 2019 at Paris, Ballys, & Planet Hollywood! DEF CON CHINA 1.0, Co-Hosted By Baidu Security in Beijing, China! DEF CON has been a part of the hacker community for over two decades. Pick up a bit of history and origin on the About Page. The DEF CON FAQ has the answers to most of the common questions you might have. awaits in our past media! DEF CON Media Server. Speeches, music, art, and more! For the big downloaders, check out our Torrents. 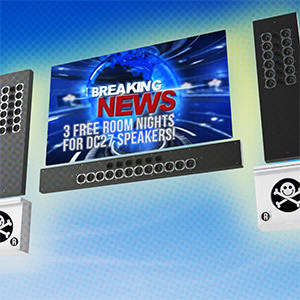 On the go, watch DEF CON Presentations on iTunes. There are a myriad of ways! DEF CON is what you make it. If you'd like to do more than just attend, have a look at our Get Involved page for ideas! 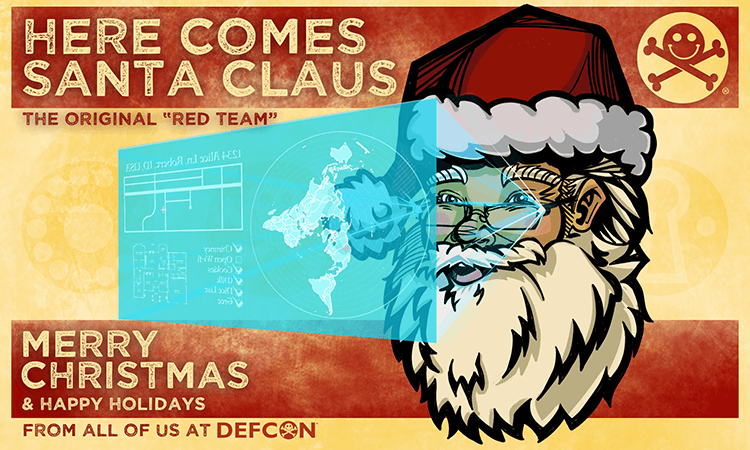 Year round, consider joining a local DEF CON Group, or get active on the DEF CON Forums! DEF CON China 1.0 Venue! 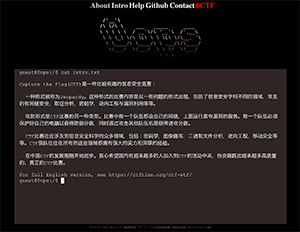 DEF CON China 1.0: Open Calls for Participation! DEF CON 27 CFP Alert! 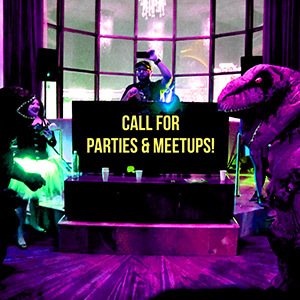 Throw a Party or Meetup at DEF CON 27! How Do I Make My CFP Stand Out? We have a bunch of exciting announcements about DEF CON China 1.0! The first round of accepted speakers is live! We’re excited about how the lineup is developing, and we encourage you to take a moment to get familiar with it. We’ve also got the first round of accepted Workshops and Demo Labs online for your perusal. We hope you’ll be as excited as we are about the DEF CON China content offerings. Please check our website frequently for updates as soon as we have them. If this taste of the DEF CON China program has you interested in attending, just head over to our registration page and prepare to join us. 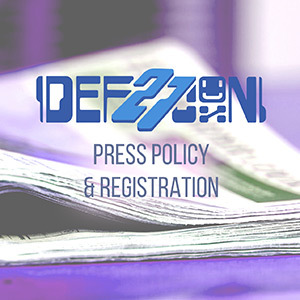 Press Policy & Registration for DEF CON 27! Press Registration for DEF CON 27 is now OPEN! As always, we have a limited number of badges available, so act quickly to reserve your spot. You can get all the relevant details on the press registration page. Make sure to read it carefully as there have been some changes in policy that might impact your operation. Feel free to drop us a line if you have questions - we look forward to hearing from all of you! 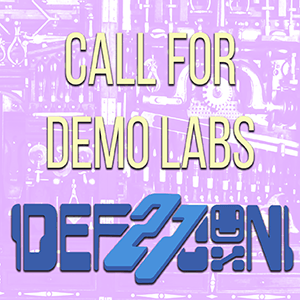 Demo Labs are back for DEF CON 27! If you’re unfamiliar, Demo Labs is a space we set aside for the community to show off what they’re working on. The requirements are simple: it’s gotta be something interesting to your fellow hackers and it’s gotta be open-source. We give you a table and a time slot, and you get to share your new hotness with a pretty ideal demographic. Get feedback, find collaborators, impress complete strangers. Wins all around. If you’ve got the goods, head over to the Call for Demo Labs and get the process underway. Show us what you’ve got, fam. DEF CON China 1.0 Villages! The Villages for DEF CON China are officially locked in! Attendees will have a bunch of fun options to choose from - we'd suggest setting some time aside to sample as many as you can - all DEF CON Villages are full of interesting talks, hands-on learning and friendly experts who are passionate and informed about their subject. Register for DC China now to make sure you don't miss out! 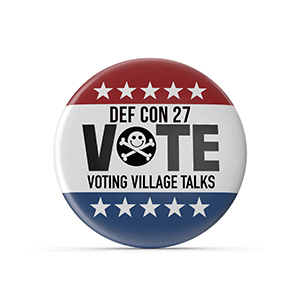 DEF CON 27 Voting Village Call for Papers! DEF CON Voting Village has an open Call for Papers! We're looking for people with something important to say about the issue of Election Security - if that's you let's talk. You have until July 12 to get your submissions in. Come help us secure the vote! Date Change For DEF CON China 1.0! Big news for DEF CON China 1.0 - the dates have changed! At the venue’s request we’re moving the dates up from June 4-6 to May 31-June 2. While we regret any disruption this change might cause, we are pleased that the new dates fall on a weekend. It’s our hope that this will mean more people will find it convenient to attend. We will be getting in touch with people who’ve requested visa assistance to make sure everyone gets their application updated. Please reach out to us if you have any questions. DEF CON 27 Call For Services! We haven't done this one since DEF CON 22, but we're asking for your services! So if you want to put a box or service with something super cool on the DEF CON network, find out all about it on the Call for Services Page! Big News! DEF CON China 1.0 ticket sales are about to go live! You can begin placing orders at 1800 on March 11 Beijing time (GMT +700). We’re taking everything we learned in the DEF CON China Beta last year and putting together an even more exciting, informative and enjoyable event. We hope you’ll join us. The spirit of hacking is the desire to extend the technological horizon by bending existing tech in new and unexpected directions. We build the future by rethinking and reshaping the present. 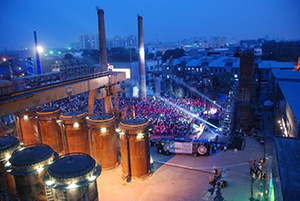 So it’s fitting that DEF CON China 1.0 will be held in the Beijing’s iconic Arts District at 751 D Park. 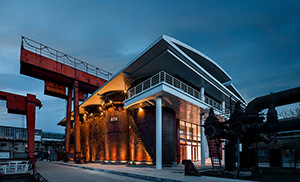 It’s an open location full of modern creative spaces carved from a foundation of 20th century industrial architecture. A perfect place to meet up with a few thousand hackers and discuss ‘Technology’s Promise’, don’t you think? 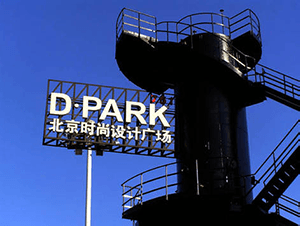 We are very excited to begin the transformation of the 751 D Park space for DEF CON China 1.0, and we hope you’ll be able to join us there. Workshops: If you've got teaching skills and some cool hacker knowledge to share with the DC China attendees, pitch it to us. We're looking for technical, unique content, and we know you're out there. Demo Labs: This call is for anyone with an open source project you'd like to demonstrate to the public. It's a great way to get feedback on your work, find collaborators and see your ideas in use by the target audience. 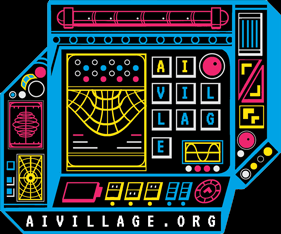 Villages: Villages are all-day, hands-on spaces dedicated to a specific area of hacking. 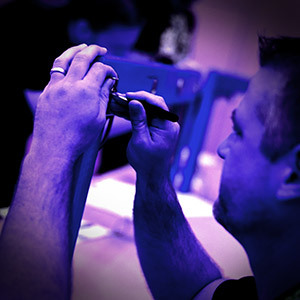 Contests and Events: Hackers need to have fun, too. If you have a clever competition idea or an entertainment proposal, this is for you. Some of the more famous previous contests and events at DEF CON are the Scavenger Hunt and the Wireless Capture the Flag contest. If your idea is good, we'll help you get it realized. DEF CON belongs to the community, and the best way to feel a part of that community is to join in and help build. We can't wait to see what kind of ideas you've got! 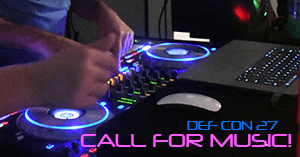 NEW this year, if you submit to the Call For Papers and are selected to speak, DEF CON will cover three hotel room nights per talk! This is in addition to the existing speaker payment method you choose. I hope that making speaking at DEF CON more affordable will bring in more submissions from a broader range of applicants, increasing both quality and diversity of topics. The DC27 CFP is open, and we can’t wait to see what you’ve been working on. t’s time to start thinking about DEF CON parties, people. DEF CON 27 is getting closer every day and our Call for Parties is officially OPEN! This is a golden opportunity for everyone who has always wanted to try their hand at throwing a hacker party in Vegas. Submit your dream party, and if it’s cool (and possible, obvs) enough we will help you make that dream a DC27 reality. We’ve got a lot of space and a lot of people looking to party. Let’s put our heads together and make this amazing. Are you in? 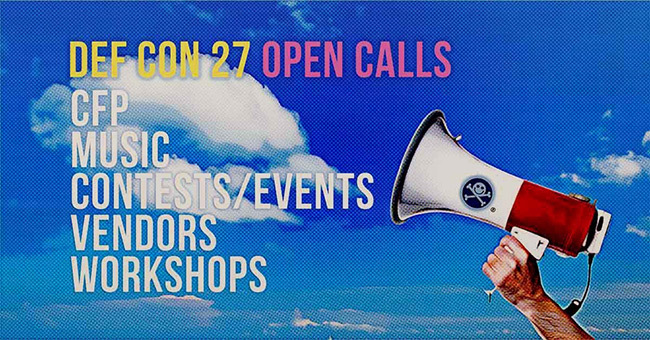 Open Calls for DEF CON 27! 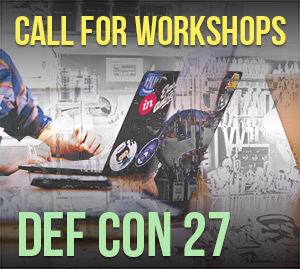 Call for Workshops at DEF CON 27! Boom! Another DEF CON 27 Call goes live! You (singular or plural) have he perfect idea for a DEF CON training. You take this idea and submit it to us before May 1, with all the information we ask for in the workshops page. We are psyched about the magnificence of your idea and we maybe ask for some more info. We allot you a projector, a whiteboard and a time slot to make magic with at DC27. Dozens of hackers pick up what you’re putting down, depart the Con wiser and embiggened. You feel awesome. They feel awesome. Your Speaker badge looks awesome. Sounds good, right? If you’ve got the goods, get busy submitting. DEF CON 27 Vendor App is Live! Attention merchants and purveyors of quality hacker-centric products and/or services: the Call for Vendors is now Open! Let’s get your goodies and gear in front of many thousands of hacker types, many of whom enjoy shopping for cool stuff. There are a few rules to learn and an application process, so please head to the vendor application and get familiar. Please also note that we have a limited amount of space to offer, so the early birds have an advantage. Operators are standing by, metaphorically speaking. Act now! 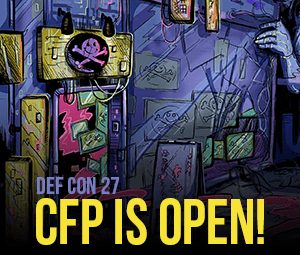 DEF CON 27 CFP is Open! Yes, hacker fam, the Season of the Con is upon us all. Our elite team of reviewers is standing by, ready to examine your proposals for DC27 talks, offer feedback and begin shaping the speaking tracks. The details are here. Follow directions carefully to stay in the good pile. Link to the theme if you can. We are giving a little extra consideration to proposals that can link DC27’s 'Technology’s Promise' motif. Get on it ASAP. The reviewers can sometimes help get a worthy though undercooked idea over the finish line, but only if it arrives early enough. Once we get in the red zone you’re kind of on your own, so don’t wait until the last minute. However it feels right now, summer will be upon us sooner than you think. Get your best ideas together and let’s get busy proposing. DEF CON China Returns! CFP is Open! DEF CON China was a great success, and we’re happy to announce that DEF CON is returning to Beijing for DEF CON CHINA 1.0 on 31 May - 02 June 2019! 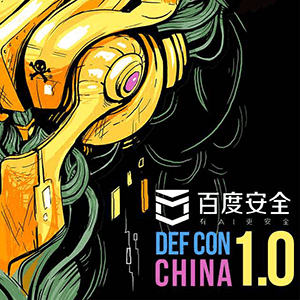 Today we are opening up the CFP for DEF CON China 1.0 If you’d like to apply to be a speaker, https://defcon.org/html/dc-china-1/dc-cn-1-cfp.html has all the information you’ll need to make a submission. We look forward to your proposals. 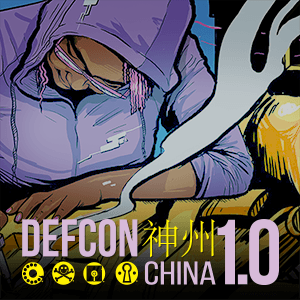 The DEF CON China 1.0 website will launch soon, with more information about the venue, and more ways to participate. We’re very pleased to be bringing DEF CON back to Beijing, and we hope to see you there! 0CTF, The Next DEF CON 27 CTF Qualifying Event, is Right Around the Corner! 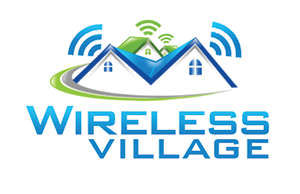 DEF CON 27 Call for Villages! 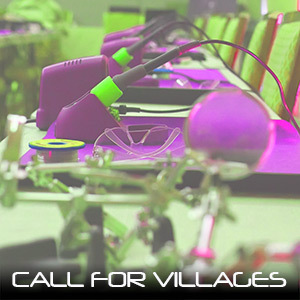 It’s officially DEF CON 27 Open Call season, and we have a nice big one for you today: the Call for Villages is officially open! Did you look at last year’s 20+ villages and say to yourself, “You know what Village they really need”? Have you been sitting on an idea you know could change the Village game? This is your moment. Share it with us, and if we agree with you we’ll help you make it happen. A word to the wise, however. The Villages are a lot of work. They require a lot of planning and thinking through, and a lot of personnel support. If you want a chance at getting your idea on, it’s in your interest not to wait until the deadline. The sooner you get in touch, the more we can help. Procrastinating entrants will be fighting for limited space and limited attention from the team making the decisions. Don’t let that be you. The rules and regulations are available online, and our operators are standing by. Get your ideas together, assemble your team and let’s do this one big. That rumble you’re feeling? It’s the DEF CON machinery coming online for 2019. Feel free to get psyched. DEF CON 27 Call for Music! Attention, singers of songs, players of instruments and spinners of records, both real and imaginary! The DEF CON 27 Call for Music is live, and your services are urgently required. DC27 has a great deal of space, and where possible we want to fill it with music and merriment. If you’ve got the requisite crowd-moving skills, we want to hear from you. 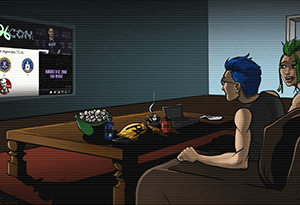 Thousands of hackers are depending on you to bring the beats - do not let them down. Your move, bards and troubadours. 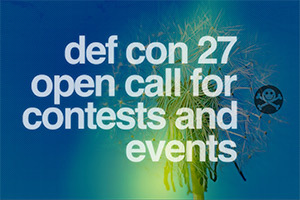 DEF CON 27 Call for Contests & Events is Live! Happy 2019, everyone! The DEF CON 27 train is picking up speed, and today’s milestone is the Call for Contests and Events! 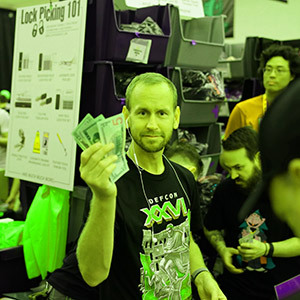 If you want to host a new Contest or Event or renew an ongoing, you have until March 1 to get your proposal emailed to contests[at]defcon.org. For a list of the questions you’re required to answer, head over to https://defcon.org/html/defcon-27/dc-27-cfce.html. Don’t procrastinate - March 1 will get here faster than you think, and the more time we have, the more chance we can work with you to get your proposal over the finish line. We can’t wait to see what you’ve got cooking. Let’s light this candle! DEF CON 27 Theme guide! Tidings of comfort and joy, luminous humans of DEF CON! It’s almost 2019, which means we’re that much closer to DC27. In anticipation, we’ve created a little 'Technology’s Promise' ePub with homework assignments for the eager, and color and style suggestions for those of you looking to create themed content. There will be plenty more prompts and inspirations in the coming days, but we encourage you dig in and start preparing. Marinate. As always, we thank the whole community for the love and enthusiasm you bring to all things DEF CON. We love you right back. Big things are brewing, y’all. Let’s get it underway! Preparations are well underway for DEF CON 27. Meetings are being met, plans are being planned, and the theme is ready for its unveiling. DEF CON 26 was about the inflection point between disorder and dystopia - the moment before point of no return. This year's theme, in a way, responds to '1983' with new questions. What does it look like when we make the better choice? What kind of world do we hack together in the sunniest timeline? How does our real best-case scenario compare to the future we've been dreaming of for generations? So, we offer you 'Technology's Promise'. It's a break from the dystopian imagery into a major-key, blue-sky thoughtscape, full of color and light. 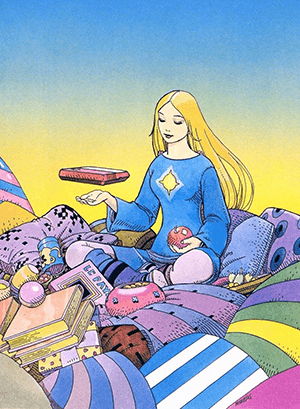 It's a future where we have tamed some of the more intractable problems that plague us in the present, where technology supports and inspires instead of controlling and surveilling. Star Trek TOS - because the series is based on a future Earth that has learned to manage itself, make working alliances with neighbors and turn its attention to the disciplined exploration of the broader universe. Also LCARS is still cool. Asimov's Robot series - a future where humankind has built AI android tech that supports rather than supplants humanity, and (usually) behaves itself admirably. BioShock - a genuinely thought-provoking game about the promises and limits of tech-based utopia. Kraftwerk, Com Truise, Tangerine Dream - the beautiful sounds of our neon future, rendered in the gorgeously synthesized tones that can only come from the fruitful marriage of human and machine. We'll be posting more of this as DC27 approaches. Lots more. This is going to be fun. GET your DEF CON 26 Stickers! 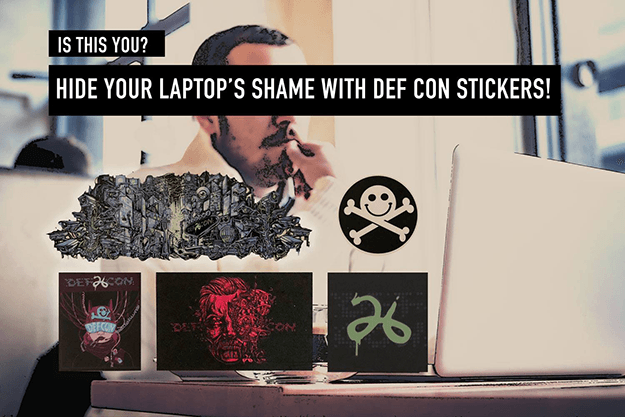 Show your laptop some holiday love with DEF CON 26 stickers - now back in stock at the DEF CON Ebay store! Check out the AI Village Videos from DEF CON 26! New DC26 playlist alert! The AI Village talks are up and live on the DEF CON YouTube channel! There’s a couple dozen presentations in there, all worth your time. Get cozy, get educated and get sharing. 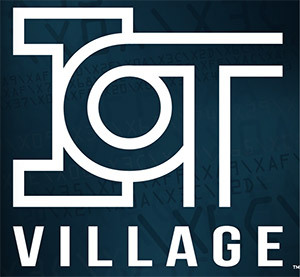 IOT Village Videos are Live on YouTube! Ready for a little pre-Thanksgiving info-binge? Please enjoy this playlist of fine videos from the Def Con 26 Internet of Things Village. Lots of interesting stuff in here about the rapidly expanding attack surface that is the world of connected devices. Watch, share and remember : The 'S' in IoT stands for 'Security'. Main Track and Village Talks Torrents are Live! Recon and Wireless Village Talks are Live on YouTube! 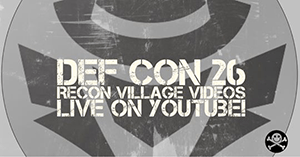 More DEF CON 26 videos - full playlist from Recon Village and Wireless Village talks are live on YouTube! There's something for everyone! As always, enjoy and share. SE Village Talks are Live on YouTube! More DEF CON 26 videos up on YouTube! We've got a playlist from the Social Engineering Village. Learn the techniques and strategies used to manipulate the weak link between the keyboard and the chair. As always, #passiton. Audio of the DEF CON 26 Talks is Live with Torrent! It's November - the height of sweater season here at the DEF CON Central Office. It's a perfect time to find a cozy corner and treat yourself to a steaming mug of hacker knowledge. 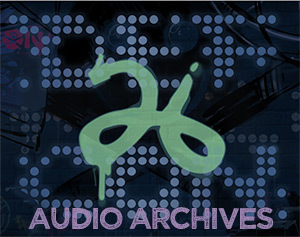 To that end, we've placed the audio files from DEF CON 26 on the media server for you to sample at your leisure. Please enjoy, and share a cup with anyone you think could use a little seasonal cheer. Blue Team and Car Hacking Villages Video are Live on YouTube! Please enjoy this playlist of DEF CON 26 presentations from the brand new Blue Team Village. You can learn more about the BTV at blueteamvillage.org, and if defense is your jam, consider getting involved. 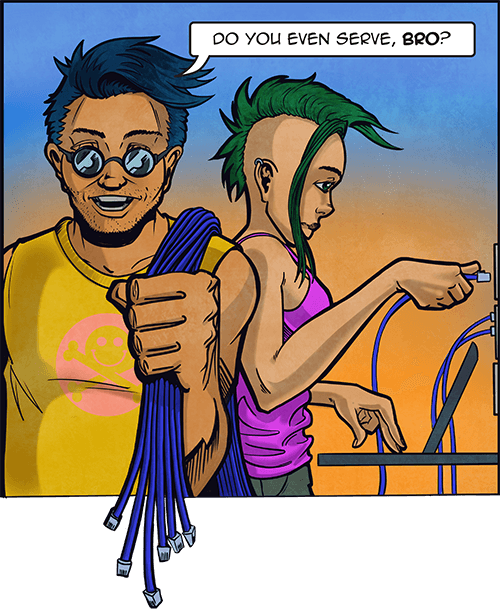 You can also earn a bit about the promise and peril of connected automobiles with this Car Hacking Village playlist. As always, share the love. You can find out more about the fine folks who put together the CHV at carhackingvillage.com. Enjoy, remember to share, and stay tuned for more Village presentations!